Huge 1,271 sq. 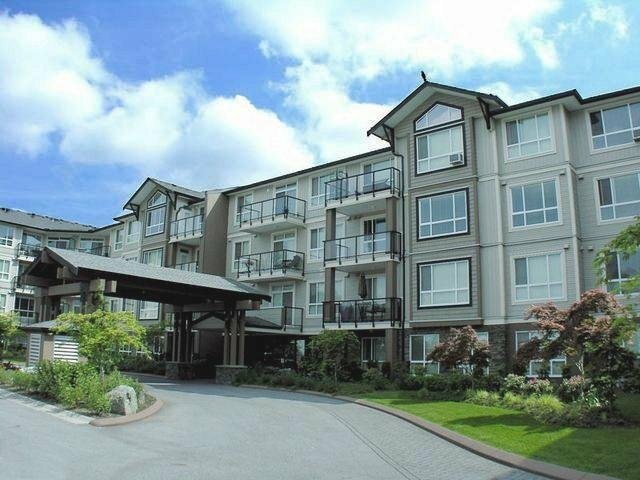 ft. 2 bedroom, 2 full baths corner suite in Garibaldi Lane. Featuring a fantastic open floor plan, 9' ceilings, extensive use of crown moldings and floor to ceiling windows for tons of natural light! Stone surround fireplace, granite counter tops, maple cabinetry, large island, tile and hardwood flooring. Large covered patio over looks Maclure Road, 2 side by side parking stalls (84 & 85), great storage and 2 pets okay, cats or dogs, up to 22 lbs. Centrally located close to bus routes, Seven Oaks, Superstore, Mill Lake and more.